Within 'Diagrams View,' users can create a new diagram by clicking the '+ New Diagram' button on the right of the page. 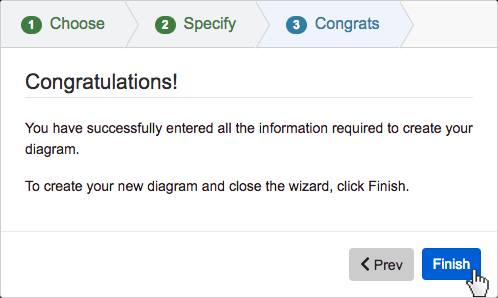 Clicking the '+ New Diagram' button will open the New Diagram dialog where you will be directed through the process of creating a new diagram. 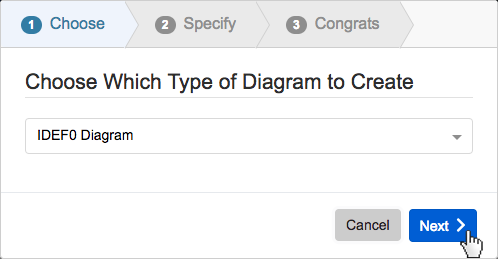 On step 1, select 'IDEF0 Diagram,' under 'General,' as your diagram type. 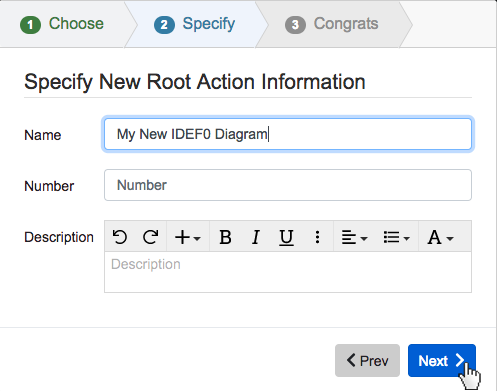 On step three, click the 'Save' button to save and automatically open your new IDEF0 Diagram. 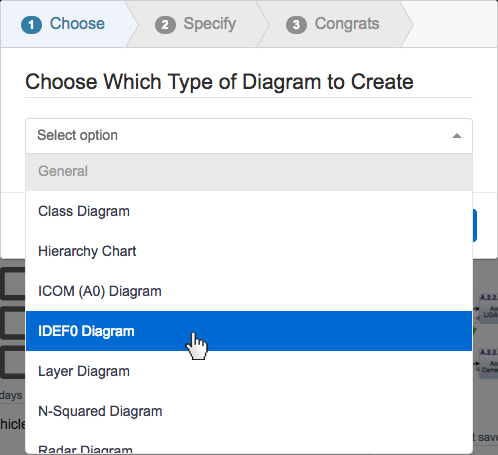 On step 1, select ‘IDEF0 Diagram,’ under ‘General,’ as your diagram type. 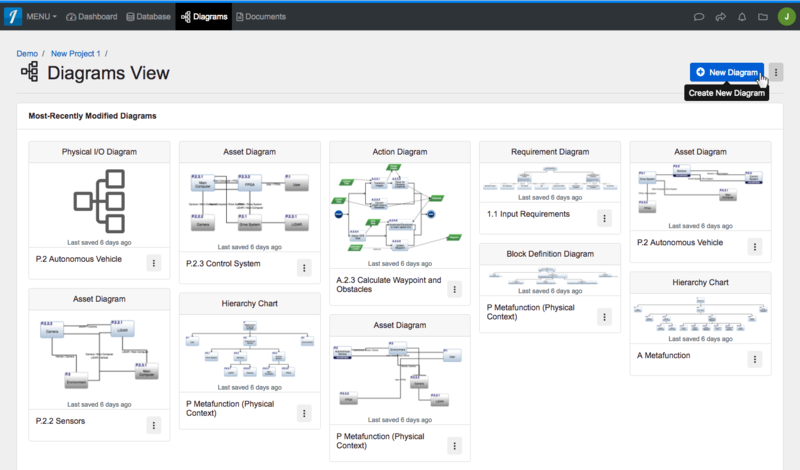 On step three, click the ‘Save’ button to save and automatically open your new IDEF0 Diagram.